With the car, landscaping equipment, and additional odds and ends stored in the garage, there might not be room to put a motorcycle. If you’re going out of town or don’t ride often, it’s a smart idea to house the hog in a storage unit instead of parking on the street. Doing so will keep the investment safe from theft and damage until you’re ready to ride. Below is a guide to storing the bike correctly. If you plan to have the bike in a storage unit for an extended period, add fuel stabilizer to the tank. First, top off the tank with fresh fuel, then add the stabilizer. So the mixture can filter through the system, turn on the engine for a few minutes before placing the bike in storage. 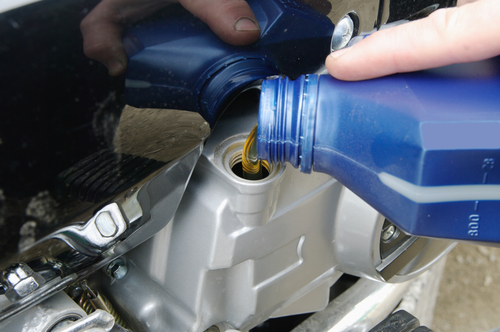 The liquid is designed to stop the fuel from deteriorating. Without it, the fuel will become thick and leave damaging residue on the carburetor components. Long-term exposure to heat, frigid conditions, and humidity can cause the metal components of the motorcycle to rust, which makes outdoor storage less than ideal. To prevent damage, store the bike in an enclosed space. Excessive sunlight can also cause leather and paint discoloration. If the storage unit has a window, place the motorbike as far away from the light source as possible. Even when the storage unit is indoors, you should still place a cover over the investment. The fitted tarp adds an extra layer of protection, keeping moisture and dust away from the bike. If you store other items in the unit, the cover will also protect from dents and scratches when moving items around. If you need a safe place to store your motorcycle or additional belongings in the greater Anchorage, AK, area, reach out to International Self Storage for assistance. Whether you need a heated or unheated storage unit, the company boasts a wide range of sizes in a secure, monitored location. To learn more about self-storage solutions available in Anchorage, call (907) 563-3287, or visit the company online for details. Don’t forget to stay connected through Facebook for news alerts.